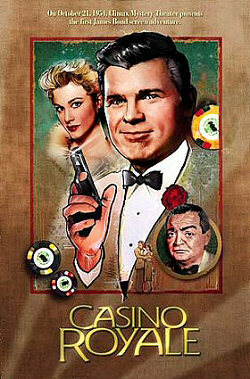 The very first screen appearance of James Bond 007, made in 1954 for US TV channel CBS. Bond's task is to destroy the evil Le Chiffre, and his plan is to force him to lose a large sum of money at the gambling tables of Casino Royale. Starring: Barry Nelson, Peter Lorre and Linda Christian. Thanks to `Ron` for the alert.